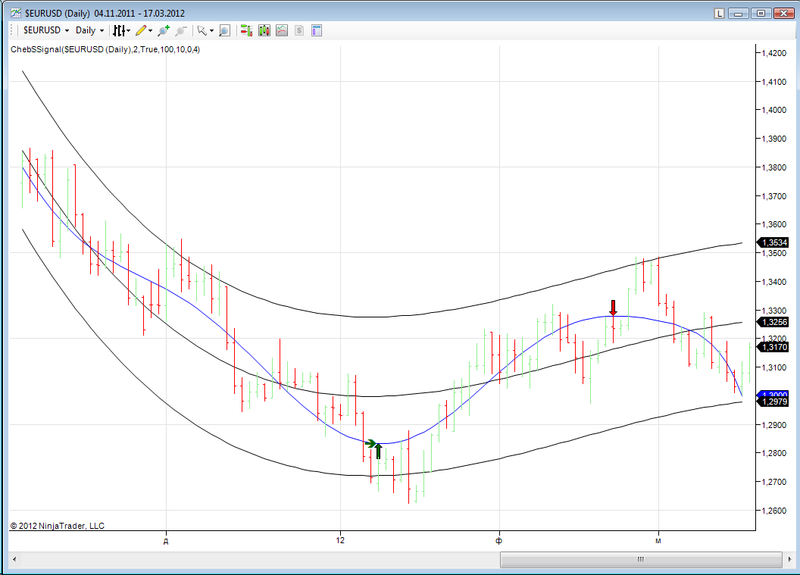 Chebyshev Trend Pro uses Chebyshev polynomials to create trend lines against Yahoo Finance (daily/weekly/monthly) stock charts. This innovative trending method is based on creating polynomials using a modified Gaussian least squares fit that essentially acts as a noise filter, removing random fluctuations from the chart data and finds the real underlying trend. This main benefit of using this trending method is an almost complete absense of lag, when compared to moving average trends. Chebyshev Trend Pro includes buy/sell signals based on the Chebyshev trend. A unique method has developed specially for app to provide these signals. Trends can also be compared with classical MA & Bollinger Bands and Parabolic SAR indicators. Other features include the ability to save stock symbols in a portfolio and adjust the trend dates. You can use ChebyshevTrendLite and Chebyshev's trend, a free versions of the app, to test before making a decision to purchase Chebyshev Trend Pro. A data connection is required to access the Yahoo Finance website, however the app will perform best if a WiFi internet connection is available. 04.09.2012 - New beta2 version of Chebyshev Market Scanner started! I would like to recognise the following people who have helped me to make the app as useful as it is. David Glanville, William Reid, Kexi Sun, Steven Craighead and Wayne Smith. Thank you, your suggestions and help has been invaluable. - Marcello Djunaidy. He offered to use Supersignal as an envelope for overbought/oversold indication. 01.31.2013 - v.2.0.0 here at last! Well, YTrend (Chebyshev Trend Pro - Yhoo ed.) v.2 is available on iTunes to the moment. Other editions will come soon. - The app is fully migrated from multiplatform development environment to iOS native development environment. - So the app should work in 3g networks, allow to add more symbols without database problems, use iPad hardware keyboard, etc. - iPhone & iPad looks are different now. They are aligned to Apple's recommended look & feel. 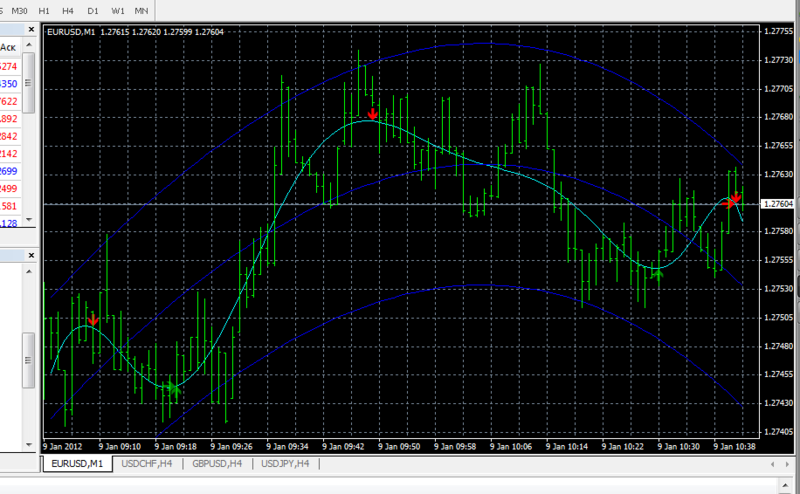 - Trend & Bollinger bands configuration are individual for particular symbols. - App's database is fully redesigned too, so you should re-enter your symbols & restore in-app purchases, sorry for inconvenience. - Draw line feature isn't implemented to the moment, sorry. - Experimental data feed is added. If some symbols like DJI aren't found with usual yahoo data feed, app tries to use experimental data feed. - some changes made in app database to improve it's reliability. - Yahoo begin to double most recent daily bar. Fix is added to prevent doubles. - tablet users: symbol description/comment is added to chart header. - Notes are added to symbol buttons. - MS Windows version is released! - hope, the version will operate better with 3G networks. - Cheb Market Scanner web service is updated to the new beta2 version & migrated to chebscan.com domain. Now you can receive email daily alerts about markets supersignals & your symbols of intersts! - bug fixes: SWFX weekly data fixed; "eye" button was unworkable after last update - fixed. - Custom lines creation ability is added. Press top toolbar button with line on it. Draw line by it's ends tap & move. Press the button again to keep line in memory. - Settings panel is devided to 2 screens. There are most common settings + trend settings on the first screen & other indicators/oscillators settings on the other. - Fibonacci retractions setting added: how much bars to take for count. -1 - all on the screen. - Online manual is updated. weekly & monthly data wasn't shown properly on some conditions. - Cross hair vertical line is extended to the secondary chart '!' char is added to symbol button if supersignal on symbol detected during the group signals scan. - middle curve is added to Supersignal curves. - Colors for both candlesticks & ohlc was calculated as opening and closing price comparison. For ohlc closing price to the previous close should compare. Fixed. 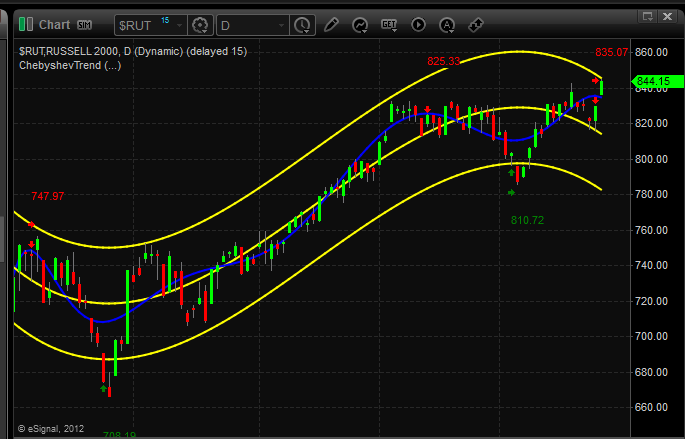 - Fibonacci Retracement drawing bug is fixed. - bug fixes: sometimes indicators in symbols' list was differ from recent signal on the chart; some memory allocation problems are fixed. - Slow stochastics oscillator is added; - upto 6 MA lines are added. According settings are added to the Settings panel; - Signal switch is moved to the Settings panel to free more space for additional indicators' buttons on iPhone; - In some cases '<' button pressing on iPhone leaded to app hang. Fixed; - "Reset to Default" button is added to Settings panel. - As soon as Yahoo finance provides daily data with significant delay (4hrs-2days for asian markets after weekend), recent daily data are counted from intraday data now. User can disable that feature using corresponding switch on the Settings panel. - Sometimes app hanged when user pressed "<" button in intraday mode. Fixed. - As an experimental feature Fibonacci retraction is added; according switch is added to Settings panel. - BB%B is changed back to linear chart; -100/100 lines are added to. - Minor GUI changes: some more distance between bottom panel controls is added in Symbols panel; symbol's name is added to left bottom chart's corner in iPhone landscape mode. - Recent signals' search added in individual group, so it's possible to find most recent signals in the group list now. Circles on symbol selection buttons are replaced with button like small panels. They are changed color depending on signal direction; signal data or time & value are shown inside the panel. - GoogleFinance just slightly changed intraday data format. That leads to wrong intraday data rendering. Fixed. - Inner custom app keyboard replaced with native iOS keyboard. - BB%B oscillator fixed; it's description added to online manual. - app didn't save symbols with ' char in description. Fixed. - User reported he doesn't see empty triangles (old intraday signals fingerprints). They are filled now with pale transparent color. Hope this will be visible. - Some tune made to allow work better with slow connection. - some tuning made to prevent "Yahoo havent requested data!" message for currency symbols like AUDUSD for ex. 2. Bar colors are changed for better contrast against signals, signals triangles are made bigger now. 1.The lot of people asked me about and there it is at last: intraday charts with five minutes update are available now! Press "I" button on bottom toolbar radio group to get them! 2. Volume+Chaikin oscillator are added. Main/secondary charts' indicators' radiogroup are switched when 1-2 charts switch is pressed. 3. Main app parameters like Data Set, selected indicators, signals on/off, ohlc/candle chart type, 1-2 charts switchs are saved now. 1. The lot of people ask me about and there are now: groups! Now you can arrange your symbols of interest into various groups! 2. On iPhone landscape chart screen top and bottom toolbars are hidden to provide more space for charts. 3. Secondary MACD chart is added. Press bottom toolbar "2 charts" icon to activate secondary chart. 4. When crosshair is activated by finger in chart, bottom toolbar "eye" icon appears. Pressing to it moves to daily chart with the last date selected by finger. 5. Support & resistance lines are added to Chebyshev trend based signal. 6. Typical price ((o+h+l+c)/4) is added to indicators' applied price.